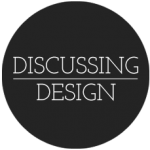 Discussing Critique on The East Wing Podcast | Discussing Design - Paying attention to the details of design critique. This week Adam and I were fortunate enough to be guests on The East Wing Podcast hosted by Timothy Smith. We talked with Tim about critique in different situations and scenarios. Tim was a very gracious host and we had great dialog around the topic of critique. Head on over the The East Wing site and give it a listen. While you are there make sure to check out the other great podcasts with some amazing guests. Thanks for having us Tim! Thanks so much for coming on the show! It was a real pleasure speaking to you two!